Cover Reads: Oh, No! My Christmas Tree Isn't Up! My Shopping Isn't Done! 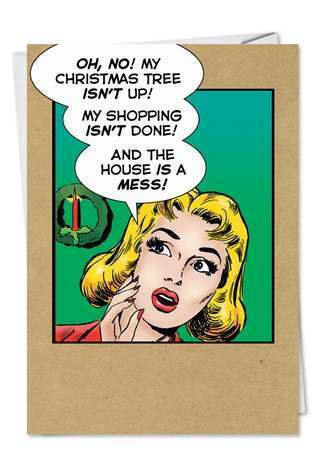 And The House Is A Mess! 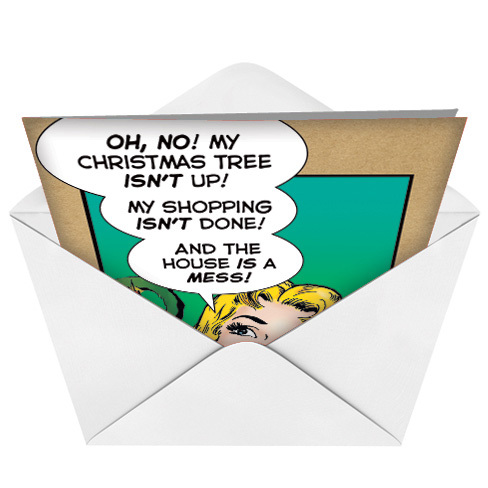 Inside Reads: So It�s Christmas As Usual Here. Happy Holidays! So it's Christmas once again. 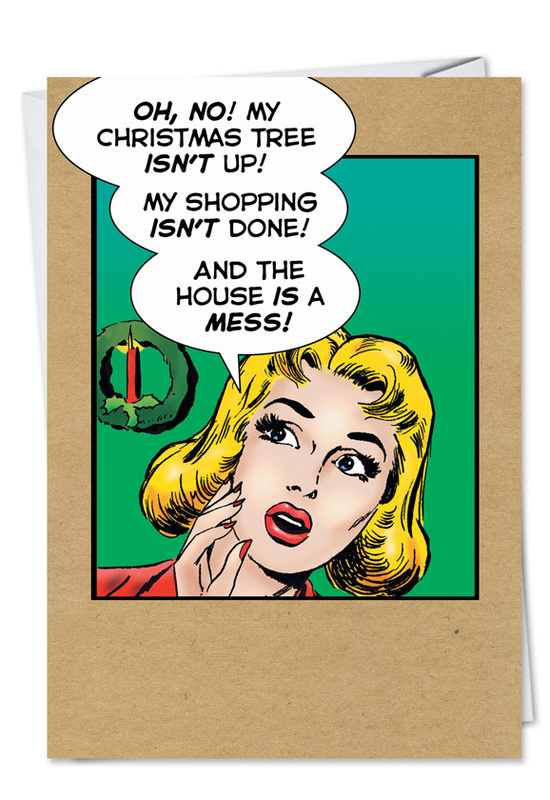 As usual, your house is a mess, the shopping is still not done, and the tree isn't up. What's new with this scenario? At least you can send a card by NobleWorks that someone will be able to relate to. Send your Holiday wish anyway, just to let them know you care, or don't care about the minor stuff.